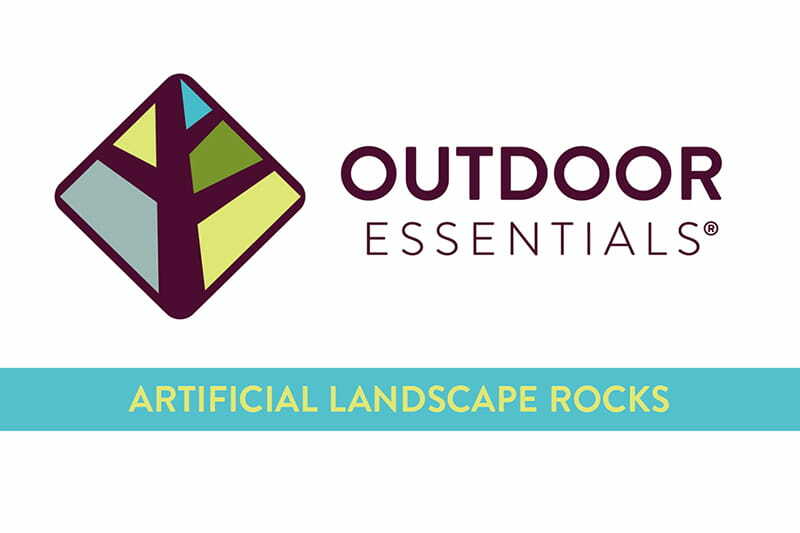 We explain the features and benefits of our Artificial Landscape Rocks. We've got you covered. Check out our hollow, lightweight artificial landscape rocks. Yes, these artificial landscape rocks are hollow. They are designed to cover and hide unsightly areas (like these!) in your yard. 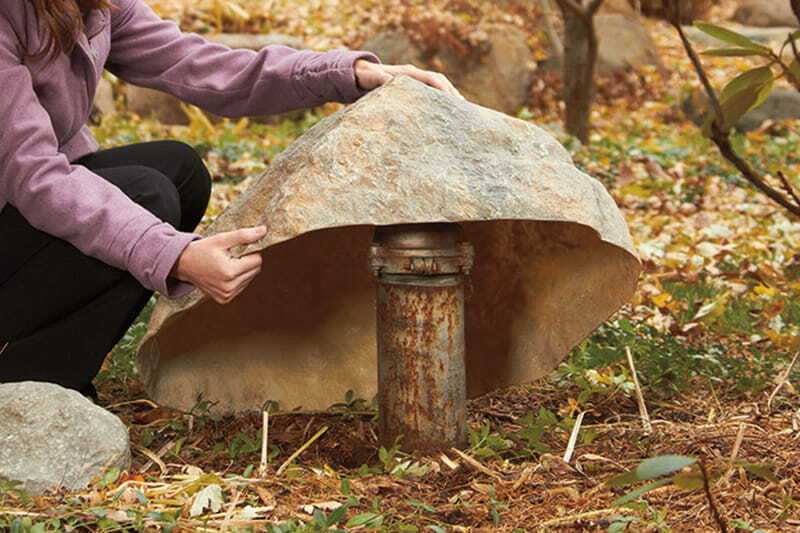 We offer a variety of sizes to cover wellheads, tree stumps, irrigation equipment and more. Will my artificial landscape rock stay stable in high winds? Yes, these rocks feature a curvilinear shape for wind resistance. The website says the landscape rocks can be easily drilled. What type of drill bit do I need? Our rocks can be easily drilled for wires or hoses using masonry drill bits. Can I sit or stand on this rock? Yes. These artificial landscape rocks are strong enough for a grown adult can sit or stand on. Our rocks are coated with a long-lasting, UV-protected finish for superior fade resistance. We offer a 5-year limited warranty that covers fading and manufacturing defects. Are there other uses for the landscape rocks? Yes, use them as part of your landscaping! Our artificial landscape rocks look so real, they are an excellent substitution for real landscape rocks. They are much lighter than real rocks, making them easy to move for casual landscapers. Our bird baths can also double as a foundation for a fairy garden.